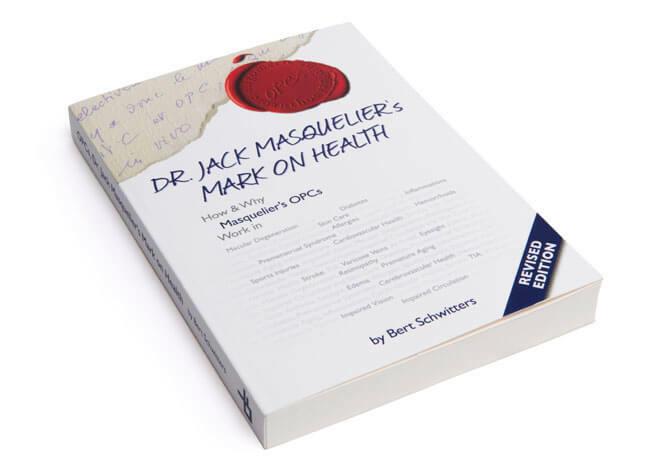 The greater part of "OPCs, Dr. Jack Masquelier’s OPCs" is devoted to the many benefits of his scientific work. What all do all these benefits have in common and what makes Masquelier’s OPCs multi-functional and biocompatible? When you take a vitamin-supplement, you probably don’t realize that, 80 to 90 years ago, vitamins were new, promising and exciting. Vitamin B1 was discovered in 1915. Ten years later, vitamin D was found in cod liver oil. In 1928 vitamin C was isolated from paprika. Then, in 1947, Jack Masquelier isolated OPCs and right away the question arose whether he had discovered a new vitamin. In the greater part of the circulatory system, the vascular wall consists of several layers. Throughout the entire 60.000 miles of arteries and veins, an inner lining called “endothelium” forms the permeable interface between the circulating blood and the vascular wall. The endothelium also covers the inside of the chambers of the heart. Healthy endothelium regulates and selects with great precision what goes through it. It is selectively permeable. It also tells the vascular wall how to react in response to what goes on in the blood. Where the arteries reach the capillaries, the vascular wall becomes thinner and thinner. Beyond the capillaries, the vascular wall grows thicker and thicker. At the point of the capillaries, between the arteries and the veins, all that remains of the vascular wall is its inner lining of endothelial cells. It is there, where there’s no longer a vascular wall, that this endothelial film forms the interface between the blood and the tissues. Because the capillary is selectively permeable, it takes care of the exchange of water, oxygen, nutrients, to the tissues, and of carbon dioxide and waste materials, away from the tissues. When capillaries are too permeable, in other words, when their resistance is low, their selectivity is compromised. The interface function is “down” and the blood’s fluid or even the blood’s entire content leaks into the tissues. This may happen already when we’ve been sitting or standing for a long time. Blood pressure builds up in feet and legs, weak capillaries give way to the blood’s fluid, and we end up with thick ankles and swollen feet. Since capillary resistance is a trustworthy and easy to measure biological indicator, capillary resistance has always played a central role in the early days of studying vascular health. Still, this does not mean that, vice versa, vascular health is delimited to capillary resistance. Especially not since we now know that the endothelium plays a key role in numerous seemingly unrelated aspects of vascular biology. This is why the field of action of vitamin P is much much wider than influencing capillary permeability. Still and all, it is with studying capillary permeability that the story of OPCs began. In the early days of Vitamin P, when Jack Masquelier had isolated the first OPCs, it was logical that he would first of all study the compound’s influence on capillary resistance. So he did. In his Doctorate Thesis, which was published in 1948, Masquelier describes that he had been able to significantly increase the capillary resistance in guinea pigs by injecting them with various dosages of OPCs. In the course of 6 to a 120 hours, the capillary resistance in practically all animals peaked to normal values. On average, the capillaries had become twice as strong. Connecting the dots, it dawned on Masquelier that his OPCs were capable of producing the vitamin P effect that he and many of his colleagues were looking for. These findings formed the beginning of an endless stream of scientific studies aimed at investigating and verifying the effects of OPCs in the broad field of vascular health. A field that encompasses various disorders caused by capillary fragility, such as, hemorrhoids, bruises, increased tendency to bleeding, bleeding gums and other vein-related disorders including varicose veins, heavy legs, edema, burning, pricking, itching or tingling in the legs, restless legs, swellings, spider veins and pinpoint hemorrhages. When the concept of vascular health is widened to endothelial health, we can add to this list: diabetic retinopathy, allergies, cerebrovascular health, impaired vision, premenstrual syndrome, bleedings caused by cirrhosis of the liver, excess excretion of proteins in the urine. Unrelated as these conditions may seem at first sight, they do have one common factor, which is: endothelial dysfunction. What makes this scientific journey so interesting is the fact that right from the start, the beneficial effects of OPCs have always been made available to the public. In 1950, a product by the name of Resivit became instantly popular among women who worked in jobs that required them to stand or walk for long periods, such as factory workers, waitresses, and sales clerks. Doctors began to prescribe the remedy for such indications, and dentists used it before extracting teeth, injecting Resivit in the gum to prevent or attenuate excessive bleeding. It’s not an overstatement when I tell you that since Masquelier’s earliest discoveries, millions and millions of people around the world have successfully used his OPCs, and that this number is growing every day. The reason for this enduring success is quite simple. All scientific studies show, that, on average, 7 out of 10 people feel relief when taking Masquelier’s OPCs. 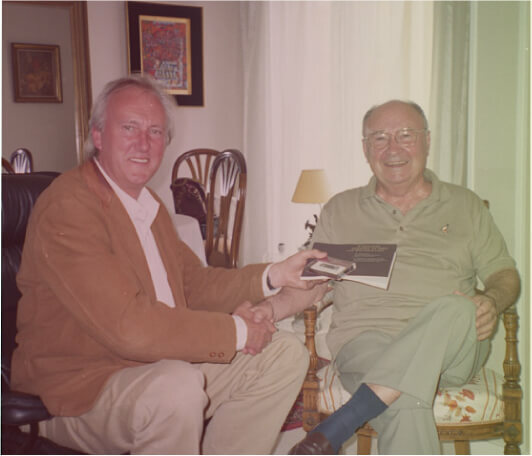 Let’s now fast forward to 2010, when, at the University of Maastricht in the Netherlands, scientists tested the cardiovascular effects of “monomeric and oligomeric flavanols,” which is the generic term for the well known OPCs invented and developed by doctor Masquelier. In healthy participants, who took 200 milligrams per day during 2 months, the researchers measured a number of biological responses, each of which forms an indicator for cardiovascular health. After having brought these responses together in a so-called Cardio-Vascular Health Index, they found that, overall, Masquelier’s OPCs had caused an improvement of the Index. In light of the fact that the participants were healthy and did not suffer from any cardiovascular problem, what does this study mean? It means that the capacity of the body to maintain cardiovascular health was increased. This ties in with the modern definition of health, which says that health is the body’s dynamic capacity to function at its best. This constantly active, dynamic capacity is called homeostasis. The endothelium plays a key role in homeostasis, specifically in cardio-vascular homeostasis. In light of all this, did Masquelier discover vitamin P ? He did more than that ! After all, it turned out that the effects of his OPCs stretch way beyond maintaining capillary permeability. Summarizing more than 60 years of research, one may confidently say that, by assisting the endothelium to function properly, OPCs have a beneficial influence on many key aspects of human health. In my opinion, taking account of the special relationship between Masquelier’s OPCs and our endothelium, the compound is essential in supporting homeostasis.